A team of researchers from Germany, Madagascar and the U.S. has found evidence that suggests fruit-bearing plants have evolved to produce fruit that communicates ripeness with a particular smell that attracts the animals that will disperse its seeds. 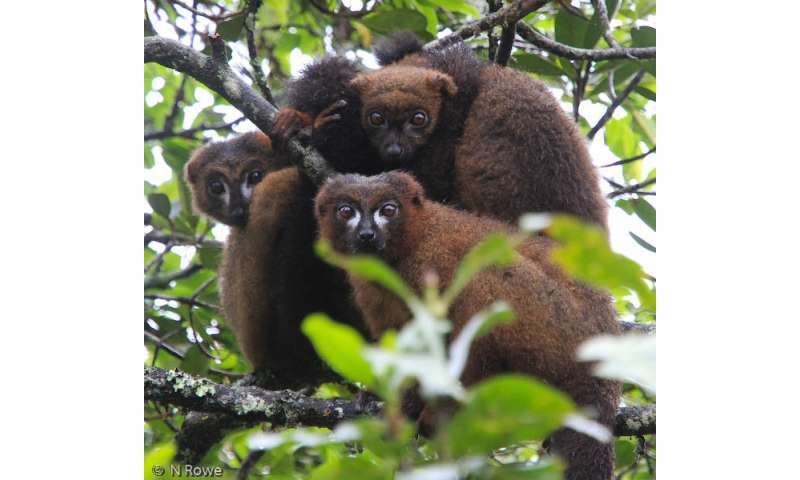 In their paper published in the journal Science Advances, the group describes their study of fruit eaten by lemurs in Madagascar. Many plants that bear fruit rely on animals to disperse their seeds—the animals eat the fruit and then deposit the seeds on the ground when they defecate. Many animals are considered dispersers for many types of fruit plants, but for the relationship to work, the animal must eat the fruit at the right time—when it becomes ripe. Eating before that time would be useless, because the seeds have not matured, and after that time, they may have begun to degrade. Thus, to ensure that the seeds are eaten at the right time, the fruit has to offer a means for signaling the dispersers. Prior research has suggested that color changes offer a strong signal to sharp-eyed dispersers such as birds. But what about animals with poor vision? Some in the field have suggested such animals use scent—but to date, no one has been able to prove it. In this new effort, the researchers have gone a long way toward doing just that. To find out if plants have actually evolved to use scent as a signal to dispersers, the researchers collected 434 unripe fruit specimens and 428 ripe ones in the wilds of Madagascar. Their aim was to find out if some of the plants had evolved to entice lemurs at just the right time. Lemurs have poor eyesight and are color blind; thus, it is doubtful that they use vision as a means of choosing which fruit to eat. But they have a very good sense of smell. Some of the ripe fruit the group collected was colorful, and some was not. Fruit that changes color with ripeness were found to be eaten mostly by birds. Lemurs, on the other hand, mostly ate fruit that did not change color. The researchers tested the fruit the lemurs preferred and found it to be twice as aromatic as other fruit, but only when ripe. And the fruit eaten by birds did not change much in smell at all. The researchers also noted that the lemurs always sniffed fruit before eating or discarding, and generally chose only fruit that was ripe. 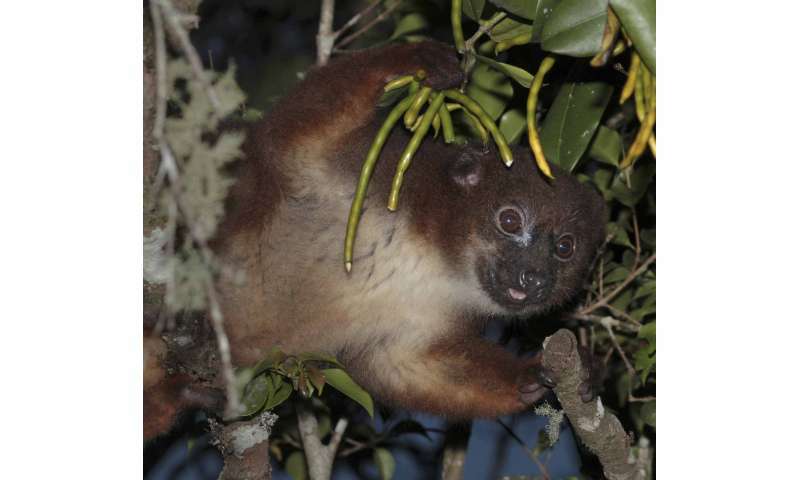 The researchers claim their study strongly suggests that some trees in Madagascar have evolved in a way to use scent as a means of disperser enticement. Why do strawberries have their seeds on the outside?